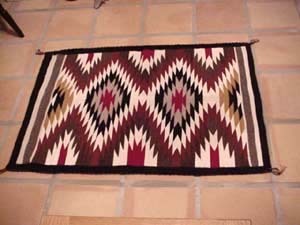 Navajo vintage rug, 47" x 36" in excellent condition. 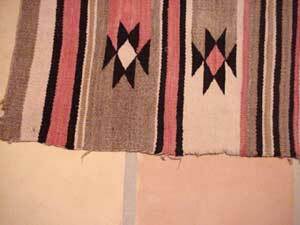 No corner tassels; lazy lines, tight weave. 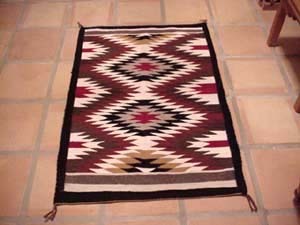 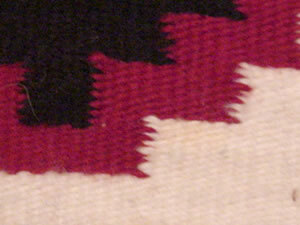 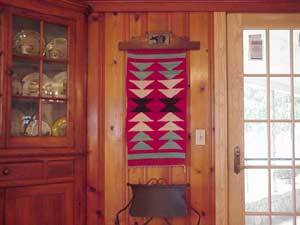 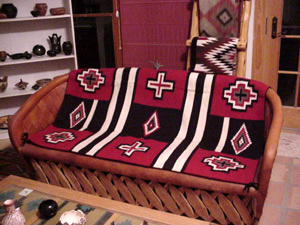 Large Navajo Chief’s blanket, Third Phase, suitable for wall or floor. 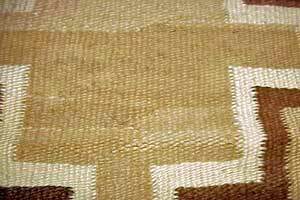 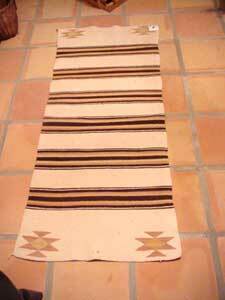 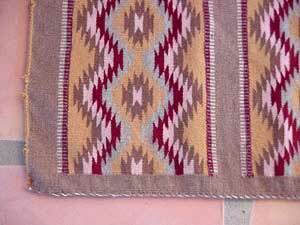 30”x52” vintage churro wool Navajo, crystal pattern, one mend but overall good condition. 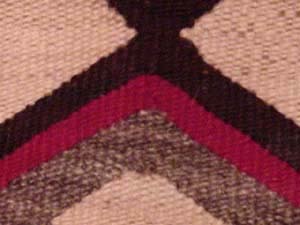 Tassles missing. 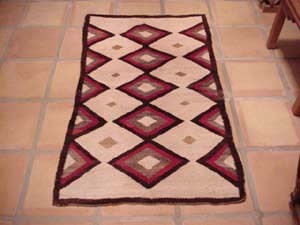 Very soft and striking, bright design. 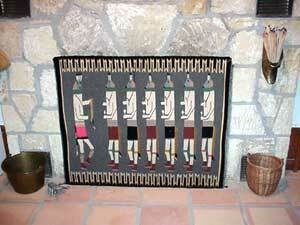 Nice wall hanging. 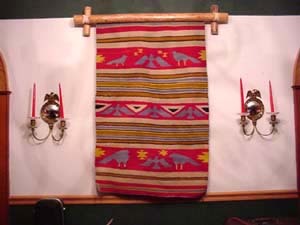 32”x51” Early 1920’s banded pictorial with eagles and unusual colors. 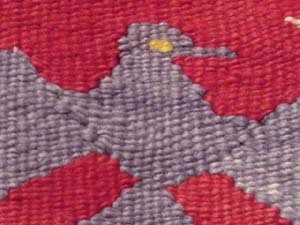 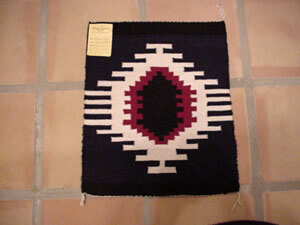 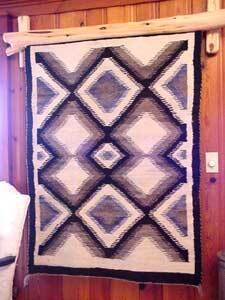 Contemporary Navajo Sampler, 16 ½” x 20 ½”, by weaver Anna Thonea, very tight weave, colors navy, black, red and white. 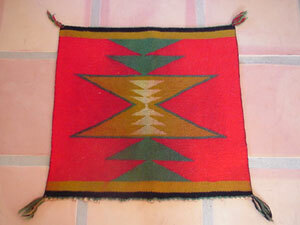 Early 1900’s Chinle, Excellent condition except for missing selvedge on one side. 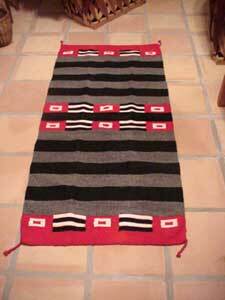 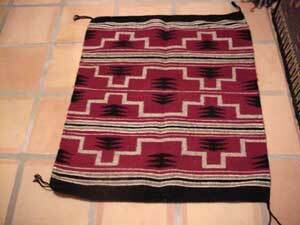 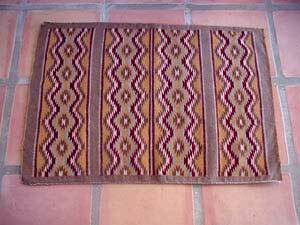 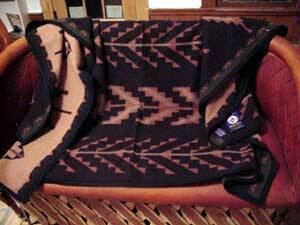 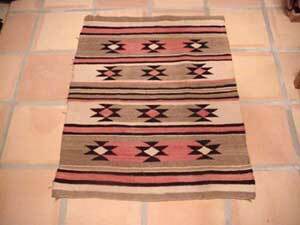 Double saddle blanket, Excellent condition. 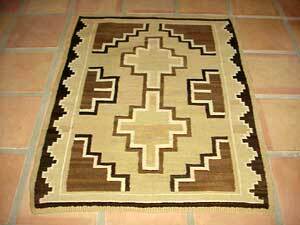 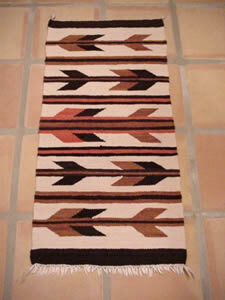 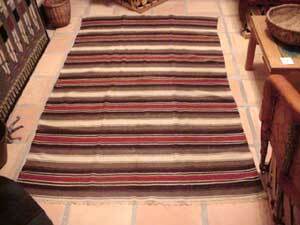 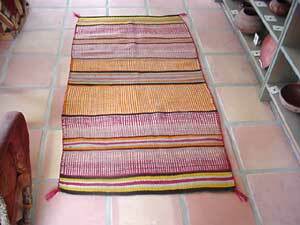 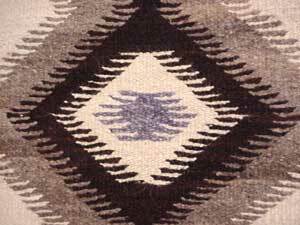 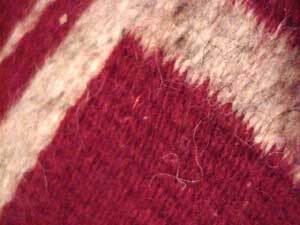 Vintage Navajo rug, extremely fine, tight weave and softest of wool. 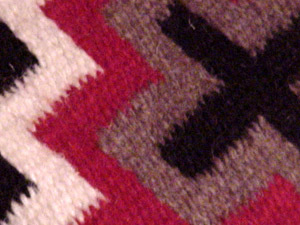 Feels almost like a tapestry. 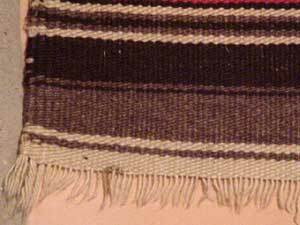 Few small missing sections of selvage- otherwise excellent condition. 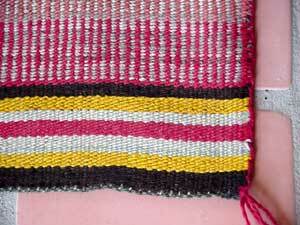 Colors include unusual light turquoise, goldenrod, taupe, medium tan, gray, dark red and cremes. 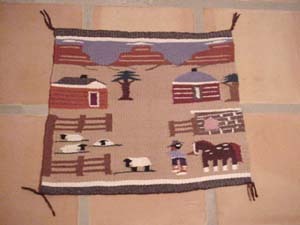 Size approximately 33" x 23"